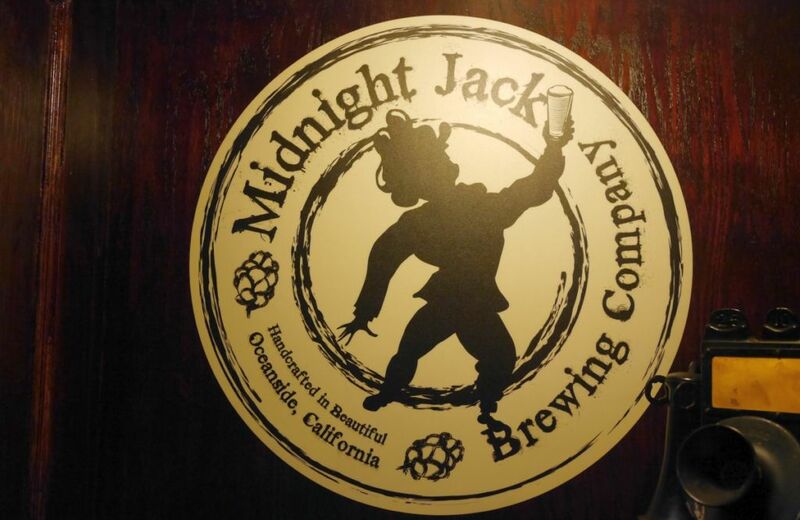 Midnight Jack Brewing is in the inland portion of Oceanside or, as some might say, the valley. They have quite the large number of beers on tap. They have a large indoor space with plenty of seating. 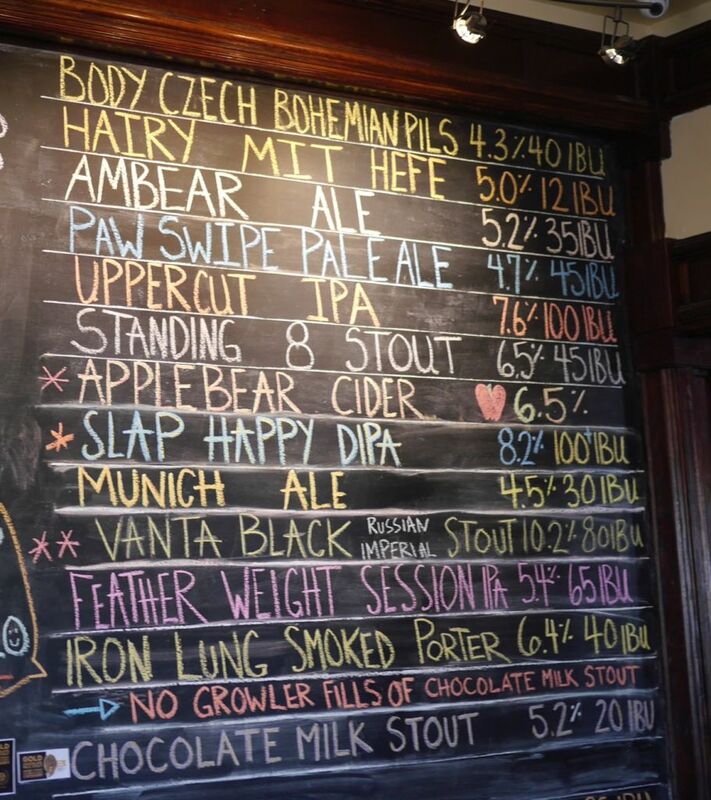 When I started, I tasted their helles, saison, IPA, porter, and stout on nitro. The helles was fruity and had a nice kick to it, a solid beer for the style though lacking the lager character that makes a few local breweries stand out. Still it was one of the better beers from my visit. The saison was completely infected with acetaldehyde and tasted like astringent apple juice. I brought this to the brewer’s attention (who happened to also be pouring the beers) and once he tasted he agreed and pulled the keg. Surprisingly this is not a common response at smaller breweries so I respect his integrity. 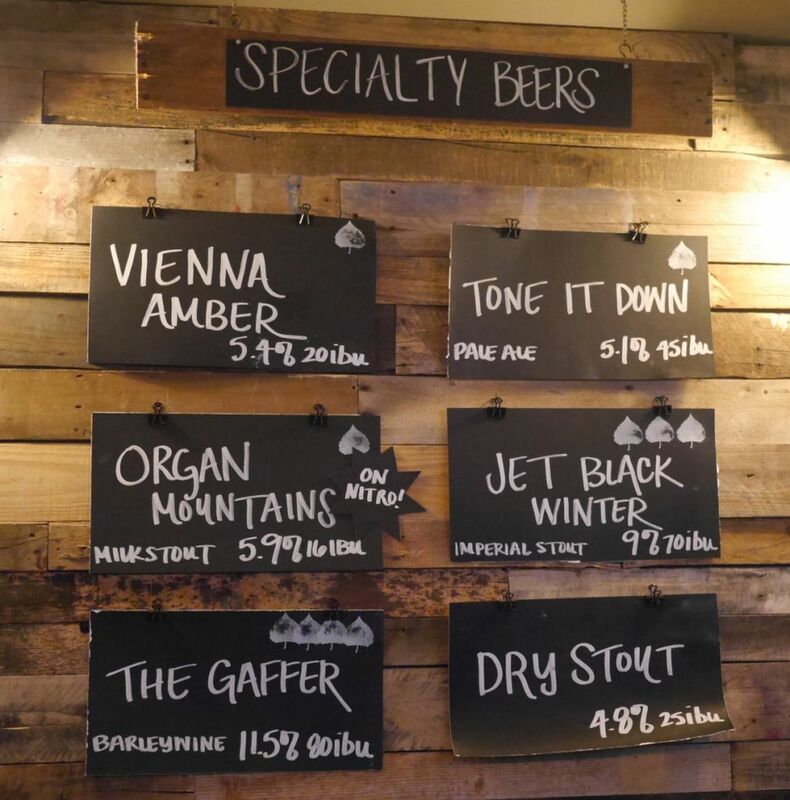 I was told that other kegs from the same batch were quite popular and sold fast so I want to give him the benefit of the doubt that this beer is normally really good and something happened with this keg. The Lucky 7 IPA had some mild fruit but intensely harsh bitter finish that made it un-drinkable. It didn’t have much aroma or resinous hops to balance out the bitterness. The porter was smooth and roasty with notes of coffee and chocolate, while mildly sweet at the finish. I really enjoyed this one, probably the best of the bunch. They also had a version available that is blended with half cold brew coffee brewed in house. My friend ordered that version and really enjoyed it. The chocolate stout had some strong fruity alcohol notes and was quite thin, overall it didn’t taste like a stout. I was ready to leave it at this point and not try anything more but when I went up to close out my tab, the brewer suggested he wouldn’t charge me because I wasn’t satisfied. I respect that and accepted that. Then, when he came to tell me I was right about the saison, I figured I would try a few more of his IPAs so he poured me tasters of the session IPA, Vermont style IPA, and 3Cs IPA. The session IPA was crisp and smooth with strong grassy hops. I asked the brewer whether he dry hopped this one and he said he didn’t. It is an interesting take on the session IPA though the grassy hop character is not something I’m used to locally. The Vermont style IPA was not representative of the style. It was a darker red-orange hazy color that is unusual and despite using plenty of mosaic, citra, and amarillo it didn’t taste like it at all. It had a salty finish that I haven’t experienced with this kind of beer before. I ended with the 3C IPA that he describes as his West Coast style IPA. It was bitter and mildly piny and had a dry finish but it didn’t taste anything like a west cost style IPA to me. Then again I’m not generally a fan of piney IPAs. The brewer at Midnight Jack clearly knows what he is doing. The porter was fantastic and the helles was quite good. Sadly he still needs some time to get the IPAs dialed in to meet with local standards. 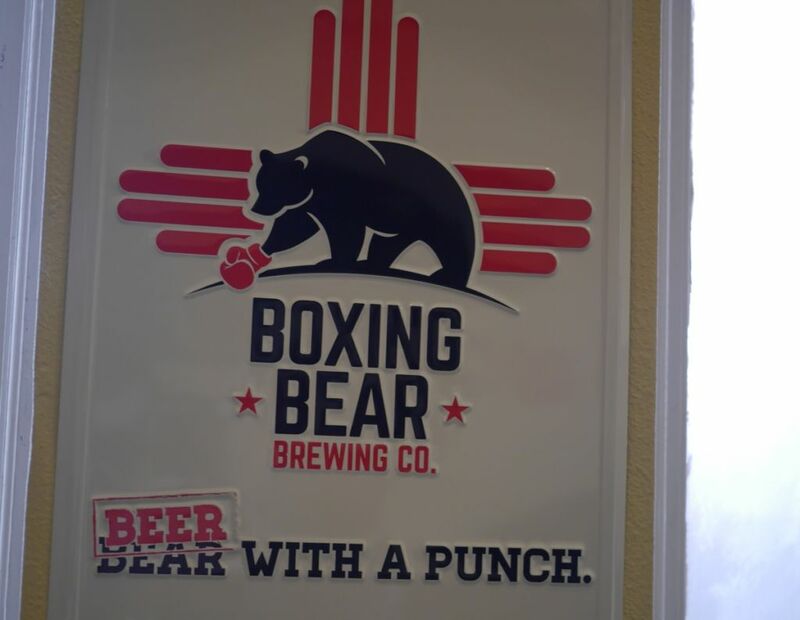 Boxing Bear recently won some awards for their overall quality and it shows in the beers I tried. They have a nice roomy tasting room with plenty of seating. While they are a bit further out from central Albuquerque, they are worth the trip. Their pilsner was chewy and floral with a good crisp finish, one of the better pilsners of my trip. While it isn’t up to my favorites in San Diego, it is above average and very impressive. Their IPA was balanced and dank with a mild bitter finish. While it didn’t have a ton of aroma, the balance of flavors made it very drinkable. I only tried the cider because of a friend’s request and it was quite fantastic, sporting mild apple sweetness and a crisp dry finish. Hopefully one day the brewery will be able to put this in six packs and grab the local college crowd that is now drinking Angry Orchard (owned by AB InBev). The chocolate milk stout was roasty and mildly sweet with notes of coffee. A solid milk stout, true to style. The Vanta Black was creamy and thick, mildly sweet with hints of licorrice and a dry finish. I didn’t much care for the liccorice notes but my husband enjoyed this one a lot. The slap happy double IPA was herbal and strongly bitter with mild fruit notes. I didn’t care for the herbal hops but it was a fairly average double IPA. I would recommend sticking with heir single IPA. Bosque has a kitchen connected to their tasting room, located in a strip mall. They keep the indoor quite dark with the use of a number of shades, which is great, until someone opens a door and the bright outside light comes in. Their lager was super light body with some mild fruity hops. It was good but could have been better with just a bit more body and more malt character. The scotch ale was strongly boozy with notes of dark fruit. I would have liked it more if it was more restrained or more roasty. As is, it was fairly average. The IPA was soft and fruity and not too bitter with some notes of perfumy hops. This was their best of the bunch, a good balanced IPA. The milk stout had notes of caramel and mild lactose sweetness with a creamy body on nitro. A solid milk stout, true to style. The Imperial Stout was intensely bitter, hoppy, and dry. I didn’t enjoy it either as a black IPA or an imperial stout. It didn’t have the aromas necessary to make a good black IPA or the roast character for a good stout. I especially would recommend staying away from this brewery if you don’t like hoppy beers. Their Elephants on Parade fruit beer was a nice mix of cranberry, raspberry, and grapefruit with tasty fruit character and not really tart. Bosque had a few solid beers and is worth a stop if you are in the area. I liked the food selection they offered but we went in between meals so I didn’t try anything. 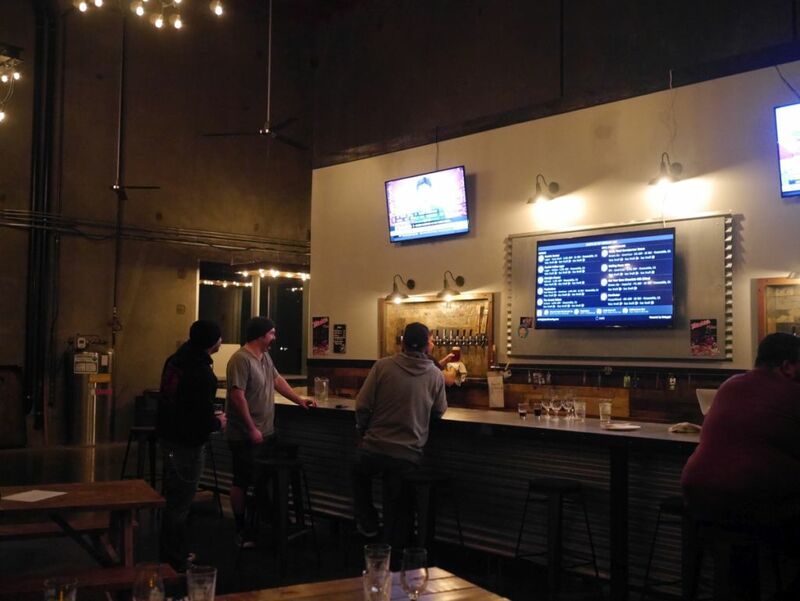 La Cumbre is the most recommended brewery in Albuquerque and one of the few known outside New Mexico. From my visit I can see why. 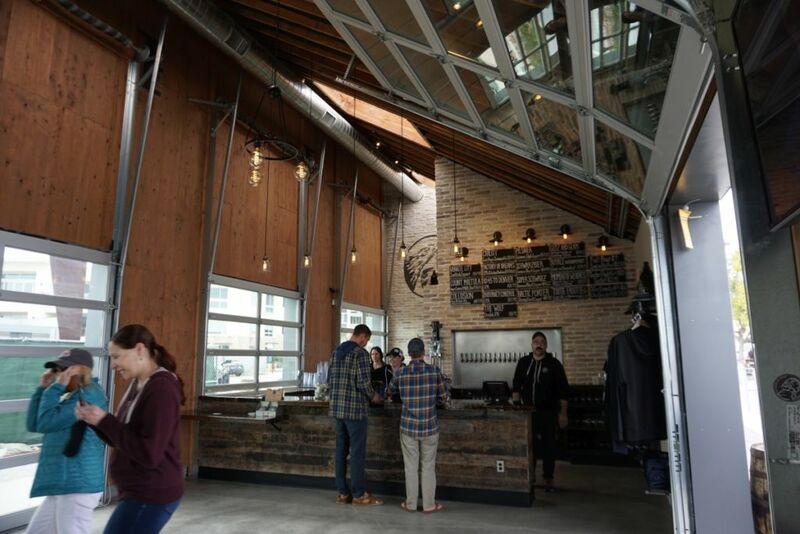 They have a large indoor tasting room with an upstairs area as well as an outdoor area. 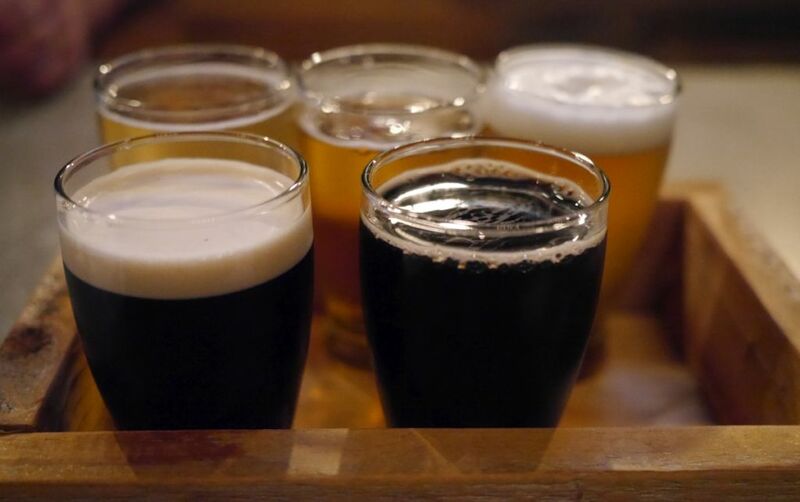 I started with a flight of six beers, which gave me a good idea for the quality of everything. The Elevated IPA is their flagship IPA and on tap it had a fantastic balance of hops with notes of fruit and resin with a mild bitter kick at the finish. Before leaving town I drank a few Elevated IPAs in the can and found it to be a delicious soft IPA with a good blend of hop character. The Malpais Stout was smooth with notes of chocolate and roast for a good balanced stout. The Project Dank IPA was a bit more dry than Elevated and had a great mix of pine and citrus with some mild hop acidity at the finish. The Red Rycot was a perfectly balanced rye amber with notes of caramel, mild fruity hops, and a spice kick from the rye. I tried this one on the recommendation of the beertender. The Pecos Porter was thinner and more mellow than the stout with mild roast. I should have tried it first because after the stout it seemed too mellow. The Dunkel was smooth and not overly sweet with notes of nuts and caramel. They had a coffee milk stout as well but only in bottles because it had already run out on tap. Overall, I was quite impressed with La Cumbre and as expected it was the best of the bunch in Albuquerque. 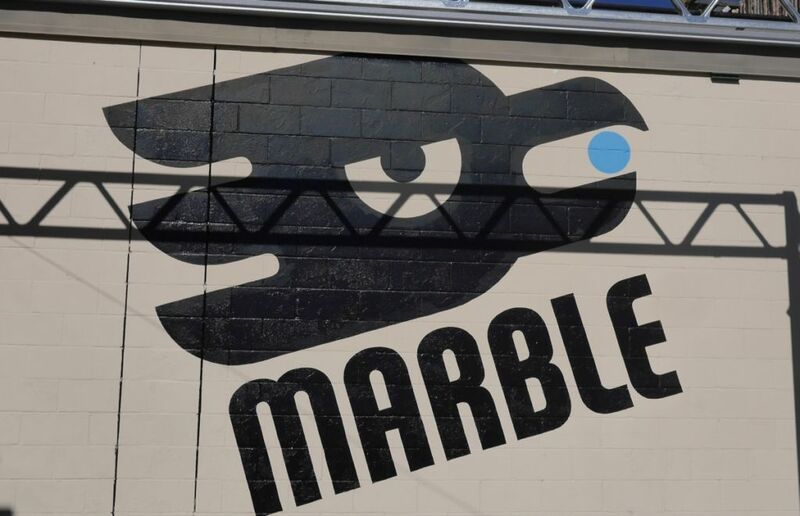 Marble has a great tasting room and fantastic design with their logo. 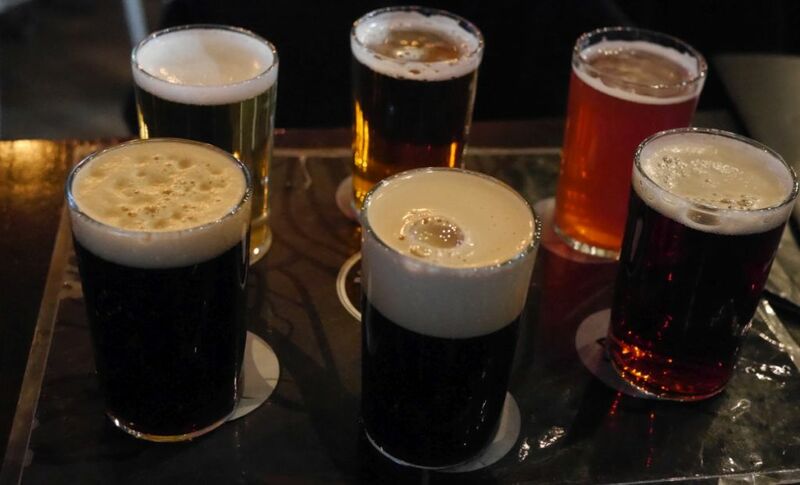 I tried seven beers while I was there. The pilsner was mildly fruity but not clean enough on the finish, instead it had a lingering bitterness that I’ve come to expect from American brewed pilsners. The IPA was a great example of the classic west coast IPA with a blend of grapefruit and pine notes. Fit Bird IPA on the other hand was too bitter and had a harsh lingering bitterness that mixed with notes of overripe fruit in a way I didn’t like at all. The White Out was a strong and hoppy white beer with good spice character and a good dry finish. The Double White was slightly thicker and more bitter with light alcohol finish and some notes of vanilla. The double IPA was very bitter with strong herbal hops and spicy rye notes. The herbal hops are never my thing but the intense bitterness was too much for me and overpowered any other aromas that may have been present. The Oatmeal stout was smooth and roasty with notes of vanilla, quite well done. 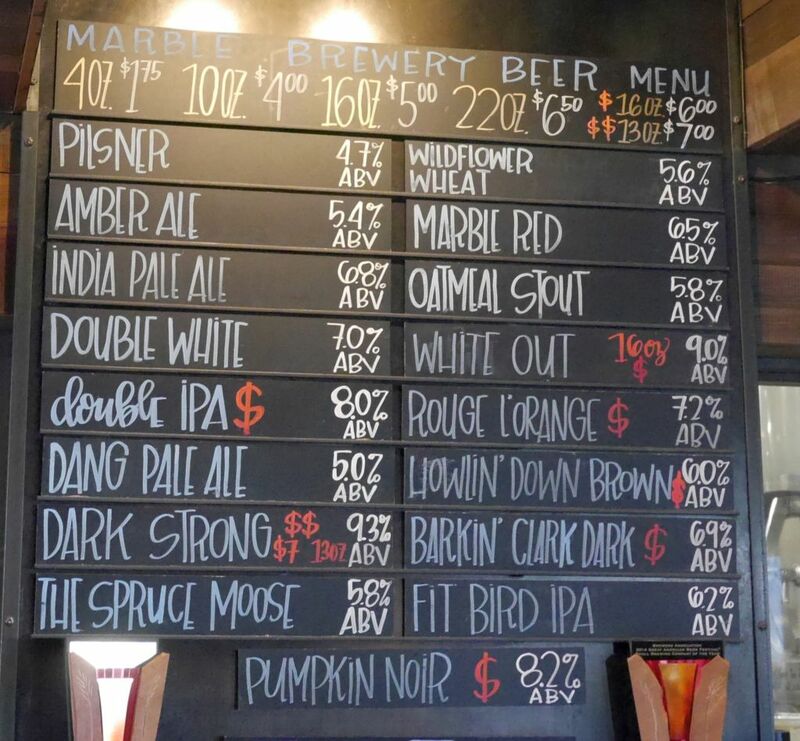 Though a few of the beers were too bitter for the style, Marble has their IPA and Oatmeal Stout down nicely and would satisfy any west coast hop head. 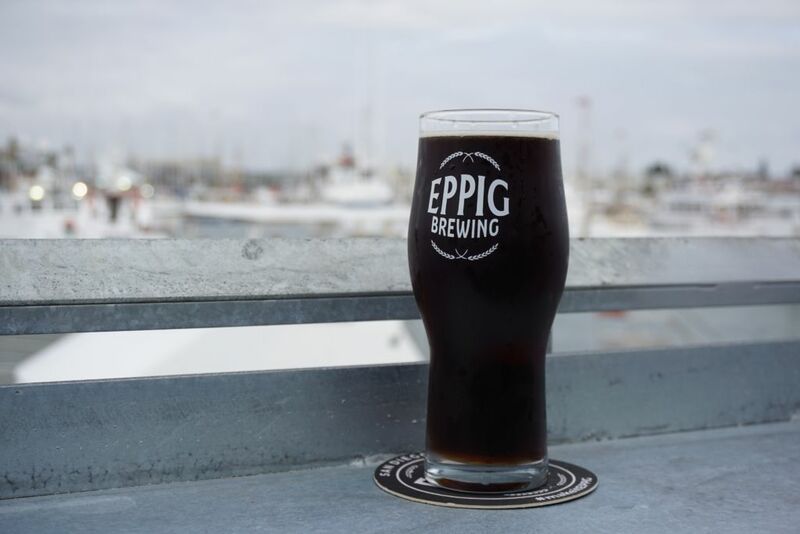 In the short year since Eppig opened, they have been planning to open a waterfront beer garden and it finally opened recently in February of 2017. This new space has a much more spacious indoor space and quite a lot of outdoor space. I get the impression that they want to eventually move the brewing operations to the same facility but even as a soft open spot they have quite the lovely spot. The beer selection is mostly the same but it is great to be able to drink their various lagers while looking out over the water. This is still not a spot that I go to for IPAs but I was very impressed by how consistently great the schwartz has been from my first visit a few years ago until now it is even slightly better. 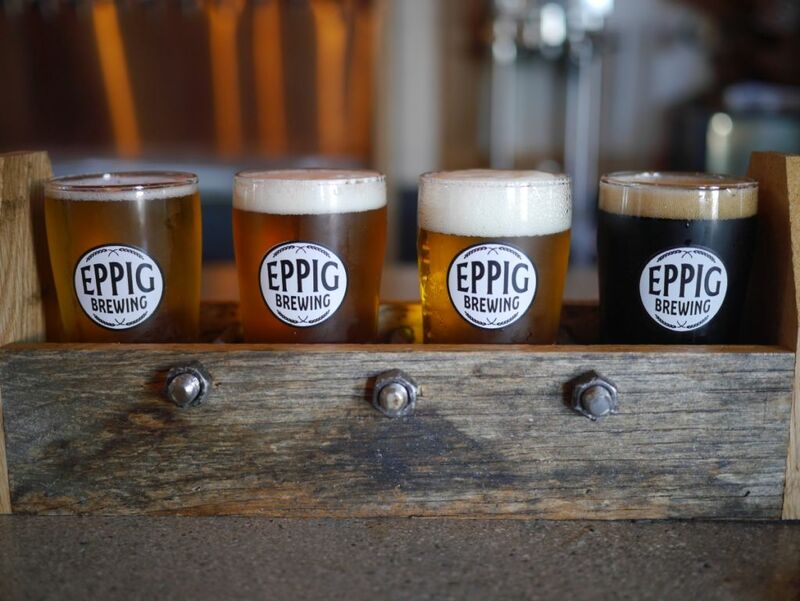 Eppig Brewing is a new brewery that takes advantage of a space that was designed to allow three breweries to open next door to one another. They have a small space just off El Cajon Blvd that can easily get packed. 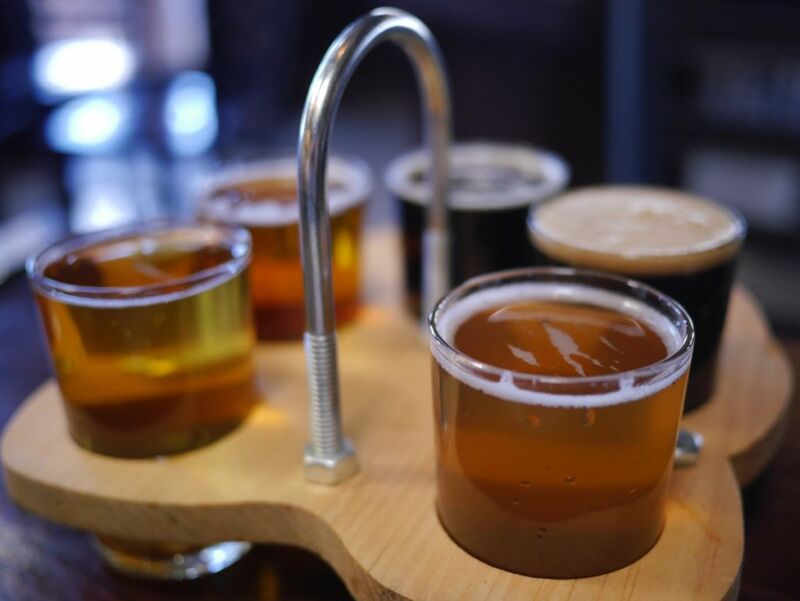 They have a large number of beers on tap so it was impossible to try everything in one visit. I started with the lagers because I heard that they were quite good. 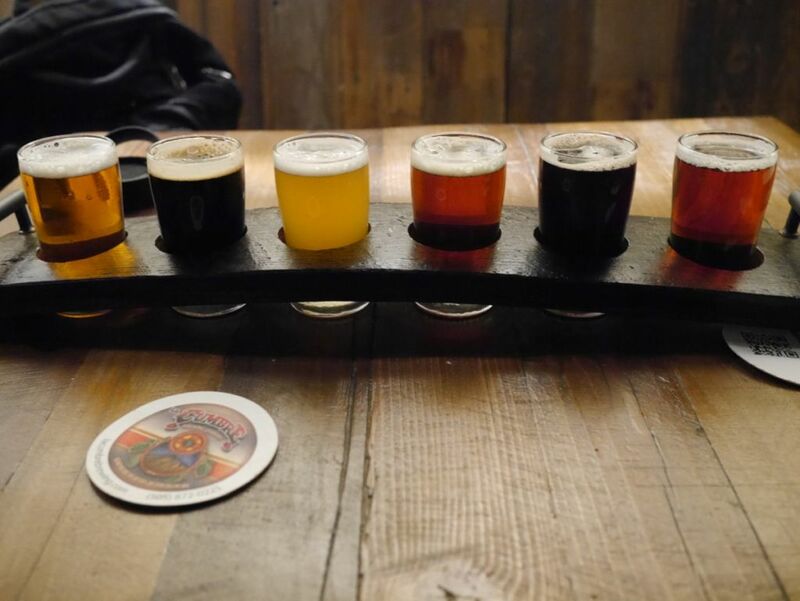 My first flight consisted of their Schwartz (dark lager), Zwickel (unfiltered pilsner), Festbier (imperial wheat), and Berliner Weisse (tart wheat beer). My second flight consisted of Factory of Dreams IPA, 10:15 to Denver IPA, Double IPA, and their stout with coffee. Of the two I much preferred the first flight. The Schwartz was smooth and roasty with mild smoke, a good version of the style and better than most San Diego attempts I have had. The Zwickel had a nice medium body and a mix of fruity and floral hops. Though well made the floral hops were a bit too much for me and not my favorite hop profile. I didn’t really care for the fest beer, which has a dry citrus finish but is also too harsh at the end. It was a popular beer with others while I was there but not for me. The berliner weisse was a good mix of grapefruit and lemon notes with a bitter dry finish while not too tart. They had two fruit options of this as well but I stuck to the regular. 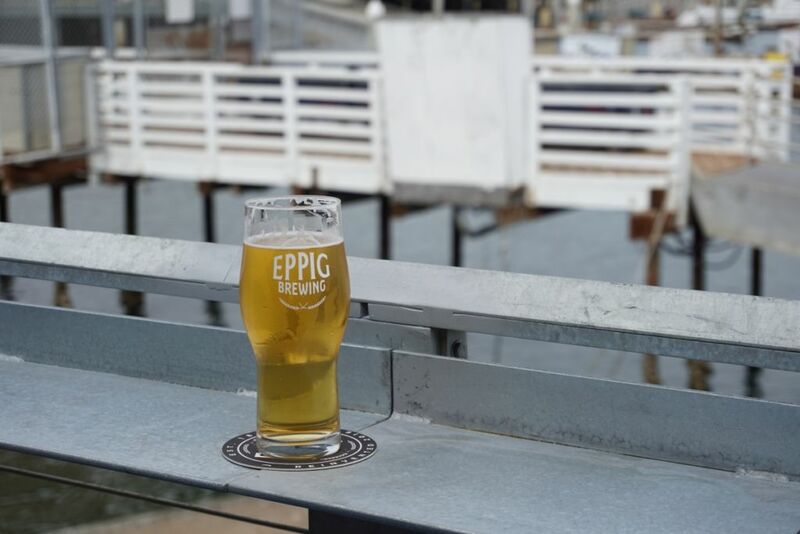 On the IPA front, I encountered some of the harshest most overpowering bitter IPAs in all of San Diego. Both the Factory of Dreams IPA and the double IPA were extremely bitter with very little aroma to speak of. According to the brewer, the double IPA is made with tons of simcoe, a hop I don’t care for generally, but rather than being too much pine aroma, they both shared a strong bitterness that lingered at the back of the throat. While the 10:15 to Denver was more drinkable and had hints of grapefruit it was still too bitter. I didn’t finish either of these beers. I had a chat with the brewer about the harsh bitterness and as usual was told “they are IPAs, they are supposed to be bitter.” I ended with the stout with coffee that I found to be average with tons of roast and a bitterness that lingered on the tongue. 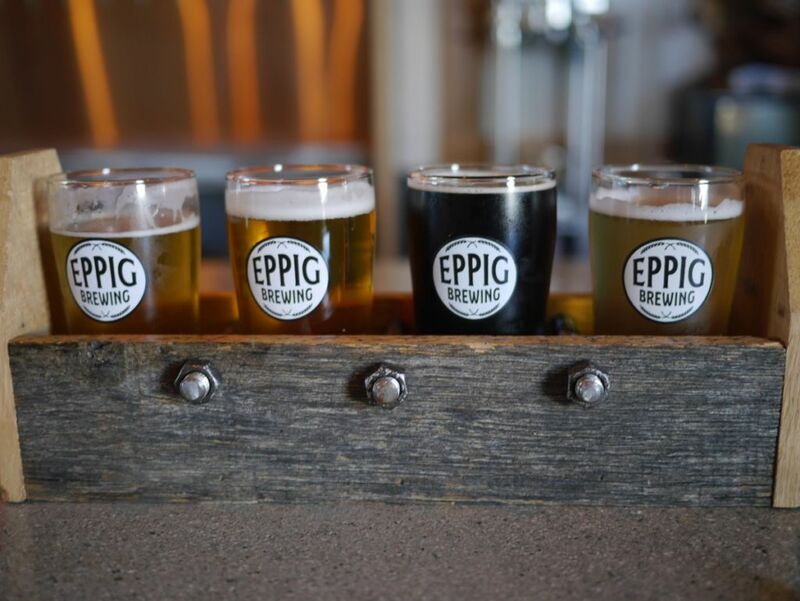 Eppig is a new brewery and I’m glad to see them come out of the gate with solid lagers and fruited berliner weisse style beers. Not every brewery needs to brew IPAs but if you are coming to North Park go elsewhere for your IPAs. The fruited berliner weisse beers were quite popular as well, but I stuck with the base. 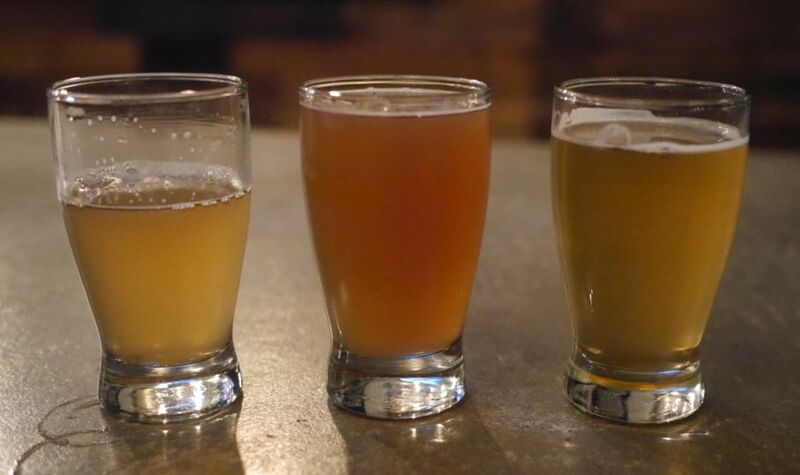 Hopefully I will be updating this article in a few months to indicate that they have improved the IPAs to something more in line with their neighbors at North Park Brewing.